The Program of ESD 2013 can be found here. Prices for lunch at the institute for accompanying persons will be announced at the conference. The registration desk in the foyer of the Library building will be open on Monday from 9:00. Note that for the conference fee only cash payments in EUR will be accepted. The durations of the particular invited and contributed talks are given in program. The times include 5 minutes for discussion. A computer with installed MS Office 2010, Libre Office 3.5, and latest Acrobat Reader will be available for the speakers. Own laptops can be connected only via a standard VGA cable. The posters will be displayed during the whole conference in the room of oral presentations. Two dedicated poster sessions will take place on Monday and Tuesday. The poster board dimensions are 97x117 cm2 (portrait). Coffee, tea, and refreshments will be provided between the sessions and during the poster sessions. We shall have lunch with large choice of meals in the canteen of the neighbouring EMBL institute. Internet access by WLAN will be available in the lecture room. To minimize the paperwork at the registration desk we strongly encourage the login through EDUROAM. Conference participants are welcomed to join a walking trip on Wednesday, June 19th. At the end of the trip we will have dinner together. The trip will start in Heidelberg's old town. 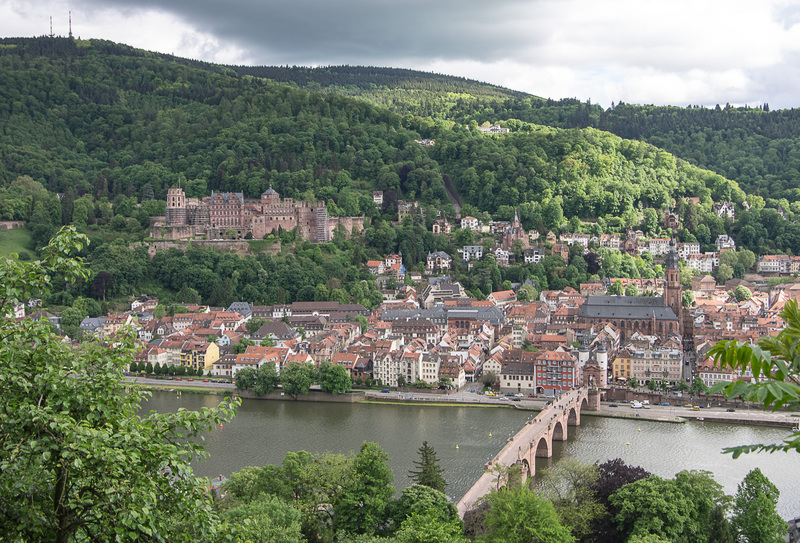 After crossing the "Old Bridge", we will climb the famous "Philosophenweg" which offers one of the best-known views of Heidelberg's old town and castle. We will then follow a walking trail through the woods at the end of which we will reach restaurant "Klosterhof Neuburg" in the late afternoon. A buffet-style dinner has been arranged there. Those who do not want to participate in the hiking through the hills can reach "Klosterhof Neuburg" via an alternative route following the street along the Neckar river. This route is shorter and physically much less demanding. The itinerary for both tours can be found here . A special price arrangement (35€/person, including 2 drinks) with the restaurant has been made. However, participants will have to pay for themselves. After the dinner we will return to Heidelberg City by bus.